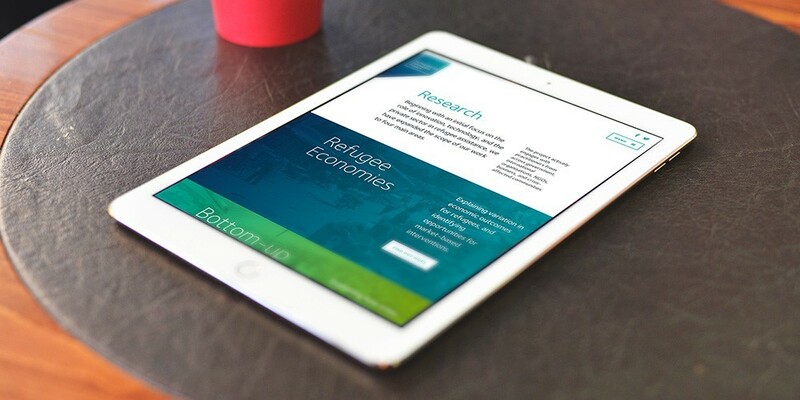 Oxford University's Humanitarian Innovation Project asked us to rebrand them and design and build their new website. OXHIP came to Optima looking for a rebrand and a new website. The site uses a clean, minimal design style, large gutters and plenty of negative white space to keep content easy to digest and accessible. We had to ensure that the site was highly mobile optimised and fast to load as end users could range from academia to people in sub-Saharan Africa with minimal bandwidth. An example of this responsive design is the clever widescreen sidebar feature that appears when a user is on a large desktop screen. Built on Expression Engine – a highly flexible content management system – we constructed the templates to accommodate an adaptive content ethos. This means that the layout changes depending upon the content that the client adds to the system. If the client doesn’t enter text into the right column the left will span both. This method allows for flexible and custom layouts. We also provided the user with the functionality to produce customised layouts for conferences. Swapping masthead images and colour schemes to produce a different feel for each year’s conference (http://www.oxhip.org/events/hip2015/). 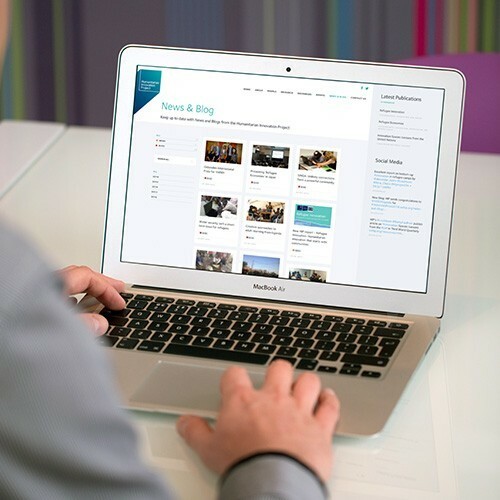 You will also notice that on the conference pages there are a lot of different content types – video, image and podcast galleries, related items, download and resources modules. These are again all optional and allow the client to customise their pages depending upon their needs. Optima did an outstanding job designing the website and branding for the Humanitarian Innovation Project. Their staff were responsive, adaptable, and creative throughout. What impressed me most was their willingness to listen, understand, and get beneath the skin of our core values and motivation. The resources, events and news sections are central repositories for all these types of content. The user only has to create this content once and then can choose which pages it sits on, saving a lot of administration time. These pages use a card layout. Following the adaptive content ethos, these cards stack dynamically to allow for differing title lengths and automatically bring in YouTube thumbnails if the client adds a new video. The cards are categorised for easy filtering and are all intelligently searchable. We’ve used lazy loading to bring new content in when a user reaches the bottom of the page. We’ve had fantastic client feedback and look forward to a long and productive working relationship with them.